Nearly two decades after the advent of the first camera phone, selfies remain a thing. It seems everyone from former president Barack Obama to Pope Francis has become enamored with the prospect of taking pictures of the themselves and posting them on social media to the admiration and idolization of millions. Though often innocent and harmless in their intent, selfies can say more about us than we would care to admit. 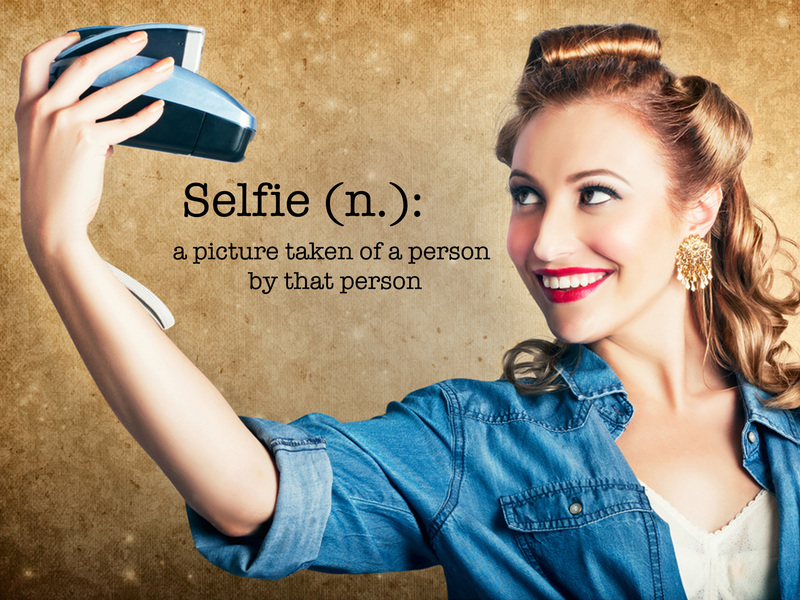 Selfies appeal to our vanity (Philippians 2:3). They satiate our desire to be worshiped (Luke 12:16-21). With the help of an ever-increasing suite of social media platforms, selfies have become the primary means by which we display to others how physically attractive we are, how nice of a car we drive, how happy a marriage we have, and how well-accomplished our children have become (among other self-exalting purposes). The beauty of selfies, no pun intended, is they afford us opportunities to formulate narratives about ourselves by picking and choosing how others see us. Motivated to a large extent by an innate longing for affirmation and approval, selfies advertise our most attractive attributes and qualities, while concealing and disguising those things that are less praiseworthy about us. But given that selfies are so subjective, is it really a selfie when one can so easily manipulate what others see and don’t see? True, what other people see of you in a selfie is still you, physically speaking, but what they see is not really you. The New Testament provides what I consider to be a genuine selfie moment, not a mere superficial or manufactured one. It is a story which, more than likely, you are not unfamiliar. I’m speaking of the encounter between Jesus and the Samaritan woman in John 4:7-42. The name of the Samaritan woman is not mentioned in the text. Nor is her age, height, or weight given. We know nothing about her that would be evident had selfies existed in that day – the color of her eyes, the length of her hair, the whiteness of her smile, or how well-manicured were her fingernails. What we do know is she was a woman who lived a morally-depraved life; a fact that not even she denied (John 4:19). The Samaritan woman had been married five times (John 4:18a), and on the occasion of her encounter with Jesus at the well, was living conjugally with a man who was not her husband (John 4:18b). She went to the well to get water. The irony of this is that water is transparent; you can see right through it. Water also acts as a mirror. It reflects images as they actually are. In our desire to fulfill the ‘Great Commission’ (Matthew 28:19-20), there are various tactics we Christians will employ to introduce unbelievers to Jesus, most of which are designed to be inoffensive and non-intrusive. Kind of like how selfies display only what is on the surface while concealing our true nature (Mark 7:17-23). But, you see, that’s neither how Jesus, nor His gospel, works (Hebrews 4:12). The gospel of Christ is a gospel that is invasive. Unlike the selfies we like to share with others, the word of God is such that it reveals things about ourselves that we would want no one else to see or know. To have our sins laid bare to others is the last thing you or I would want for ourselves. (Genesis 3:8-10). But to encounter the perfect holiness of Christ is the ultimate selfie, for it is in that moment that we see ourselves for who we really are (Luke 5:8). And it is only as we begin to understand the reality of our sinfulness in light of the reality of the holiness of Christ, that authentic spiritual transformation can begin to take place (Romans 12:2). The Samaritan woman was so utterly transformed by having her sinfulness exposed by Jesus, that her motive for telling others about Jesus was that her sinfulness had been exposed by Jesus (John 4:29). Subsequently, Jesus used the transparency of her testimony to bring many others to faith in Him (John 4:39-41). The attitude exhibited by the woman at the well is both profound and challenging in its application to us as believers today. When was the last time you were motivated to tell someone about Jesus because of your sinfulness not theirs? In posing this question, I am not at all naïve to the fact that such an attitude would be virtually unheard of in the Jesus-meet-my-needs milieu of today’s evangelicalism. Nevertheless, to see ourselves reflected against the living water of Jesus Christ is to see not an image of a selfie but an image of self. Just ask the Samaritan woman. I never thought of it like this, but it is easier to point out others sins than reveal our own.